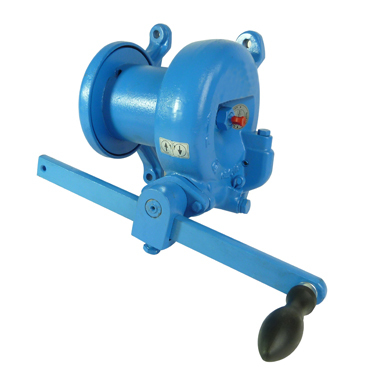 A cast iron wall mounted worm gear winch for heavy duty theatre applications. A hardened worm shaft along with gear operation in an oil bath ensure long life. Complies with BS EN 13157. Lifting Capacity 250 to 750Kg.